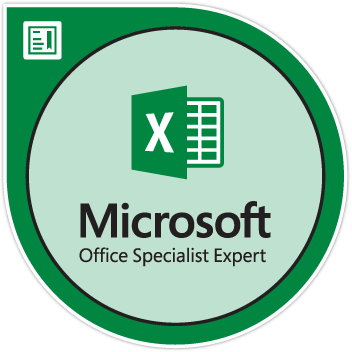 Microsoft Excel 2016 Expert Certification exam earners have an advanced understanding of Excel 2016, and create, manage, and distribute professional spreadsheets for a variety of specialized purposes. They customize their Excel environments and enhance productivity in custom business templates, multiple-axis financial charts, amortization tables, and inventory schedules. Excel earners include accountants, financial analysts, data analysts, and commercial bankers.